Microsoft's new Band smartwatch makes some big promises. Microsoft has launched a new smartwatch, and it makes some majorly lofty promises. 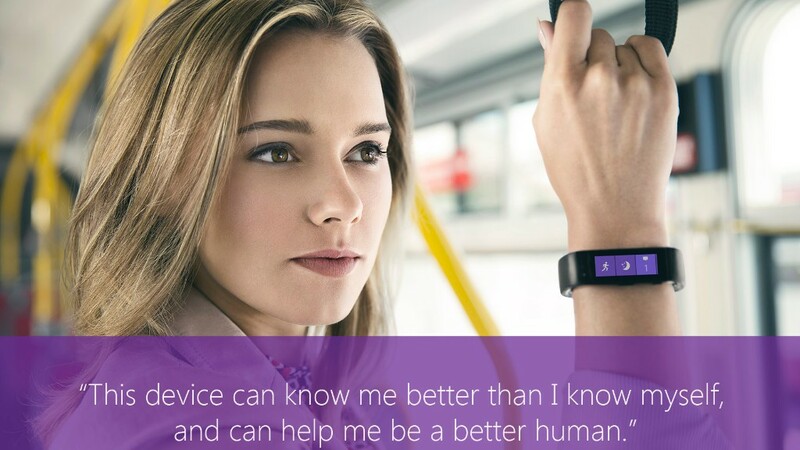 The Microsoft Band will "know you better than you know yourself" and it will "help you be a better human," according to a company blog post. 4) It provides guided workouts from Gold's Gym, Shape, and Men's Fitness, urging you to do pushups and other exercises. 6) It tells you how well you're sleeping. It's a cool piece of technology. But does it live up to its promise? You be the judge. Microsoft Band is available at MicrosoftStore.com and at Microsoft's brick and mortar stores, for $199.